VOICE OF WITS (VoWFM) campus radio station is bidding goodbye to long-time station manager Michael “Mike” Smurthwaite at the end of the month. Smurthwaite has been part of VoWFM for over six years, since its relaunch in 2010. The VoWFM family is greatly saddened by his departure. 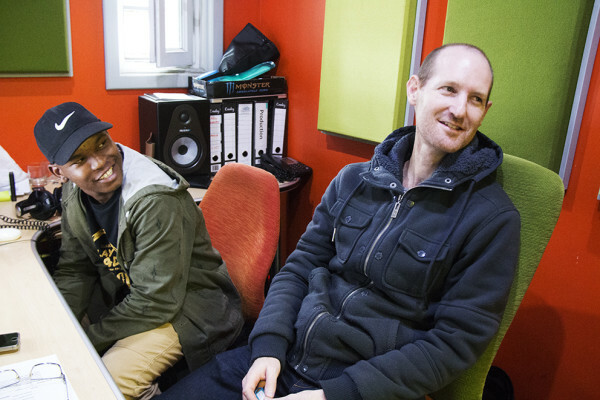 The teacher, brother, mentor and manager has built numerous relationships within the VoWFM community. Lwazi Zondo, VoWFM presenter and Smurthwaite’s first personal assistant, said working with Smurthwaite had been the best job in “the whole wide world”. “He taught me how to take down minutes and how to do accounting, even though it was so difficult in high school. He taught me how to sound amazing on air,” said Zondo. Smurthwaite leaves the station to work for WeChat SA and believes that “when the time is right, the time comes and you know it”. The station needs “a new brain and a new mind to run the organisation. Give it a fresh vision, perhaps come with new ideas. That’s not to write myself off,” he said. “From a point of view of the station, I think they have structures that are solid enough for the station to be able to survive and go through the process of not having someone in charge. There are also four other members of the management team who all have experience,” Smurthwaite said. Technical production manager Katlego Mahlangu said, “Mike was always willing to help you out. Even with a lot on his plate, he was able to help you. “He is really about empowering and upskilling. He really is a risk taker. For me, being in this position is because Mike took a risk and here I am today. Taking a risk is what created Voice of Wits,” said Mahlangu. The VoWFM board and the university have advertised the position. The closing date for applications is February 28, 2017.